NWA Democrat-Gazette/J.T. WAMPLER Several thousand people turned out for a 1,000 foot long water slide on Dickson St. in Fayetteville Sunday August 30, 2015. 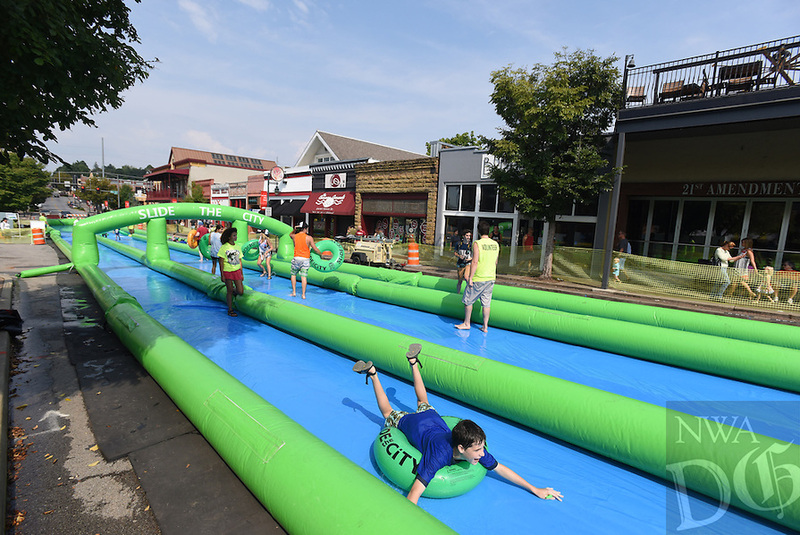 The water slide was brought to Fayetteville by Slide the City, a company based in Salt Lake City. Part of the event’s proceeds will benefit Soldier On Service Dogs, a nonprofit organization that raises, trains and gives away service dogs to veterans who have post-traumatic stress disorder or traumatic brain injuries.